At this point, more people are surfing the web on their mobile phones than they are on their desktops. What does this mean for your organization? It means that it’s time for you to step into the future of charitable giving. 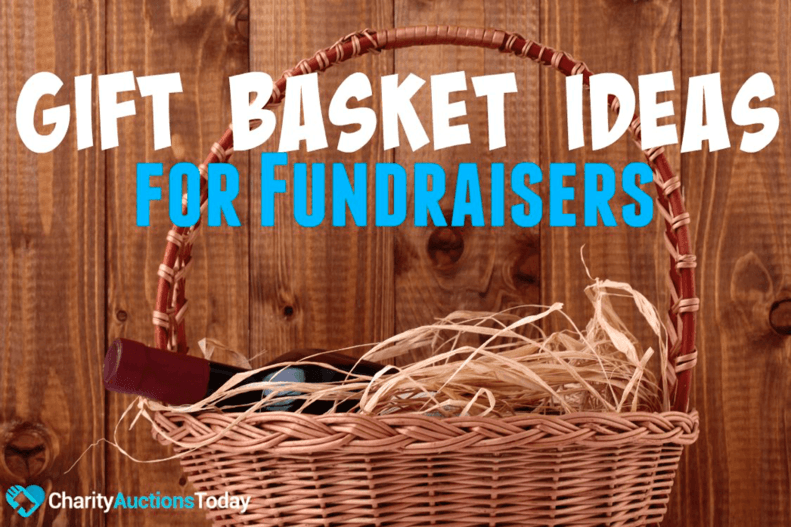 Now that’s not to say that fundraising letters and other traditional methods of raising money are completely a thing of the past. They still have their time and place. What it does mean, though, is that every nonprofit must come to embrace at least one form of mobile giving. Your donors are on the go; you should be, too! We’ve come up with some things every nonprofit should know. We’ll call it, mobile fundraising 101. Looking into mobilizing your emails. Hosting a QR code promotion. Optimizing your website for mobile. Crafting a social media presence. Creating a mobile-friendly donation page. #1. The Definition of Mobile Giving (and Other Terms). #2. 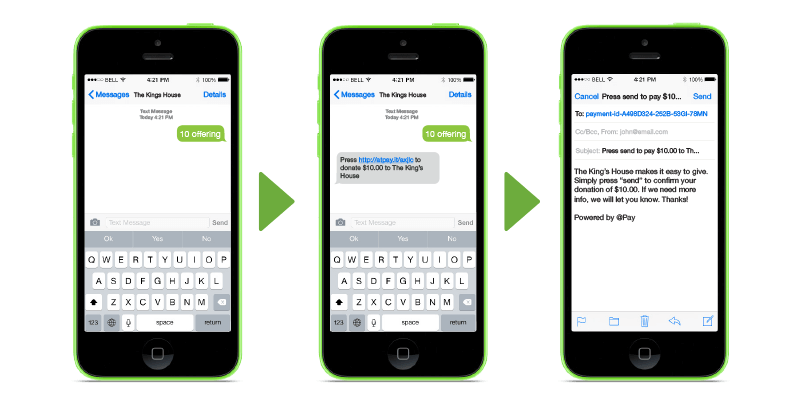 How Text-to-Give Differs from Mobile Fundraising. #3. The Benefits of Mobile Giving/Mobile Fundraising. #4. Who Uses Mobile Fundraising Technology? #5. How to Incorporate Mobile into Your Existing Plans. #6. What Does Social Media Have to Do with Mobile Giving? #7. What are the Basics of Getting Started? Take out your pencil and paper, class! Mobile Fundraising 101 is in session! What would Mobile Fundraising 101 be without the definition of mobile giving? In essence, mobile giving is the donating of money to charity through any mobile device, typically smartphones but sometimes tablets. Most commonly, when people think of mobile giving, they automatically envision someone texting to give to a noble cause, like disaster relief. While that is often the case, it’s definitely not the only way to give on a mobile device. As we mentioned in the intro, there are several different avenues for mobile giving, including text-to-give, mobile email fundraising, mobile-responsive donation pages, and more. With that in mind, let’s take a look at the most common and most useful definitions as they pertain to mobile fundraising. Mobile-responsiveness is basically a website’s, app’s, or email’s ability to adjust to a 3” by 5” screen. More than that, though, it’s the ability of that website to respond accordingly to certain actions. In simpler terms, mobile-responsiveness means that a website or email not only looks great on a phone, it’s also easy to use. This is somewhat different from mobile-responsiveness. Mobile-friendly websites don’t change across platforms. Mobile-responsive websites adapt to their environments; button sizes change, content moves around, etc. You can tell that a website is responsive by reducing the size of the browser on your computer and seeing if anything changes. Mobile-friendly websites, however, will look and function exactly the same, regardless of what device you view them on. QR codes, short for Quick Response codes, are machine-readable codes that consist of black-and-white markings. They’re pretty similar in nature to barcodes, but instead of containing price information, they store website information. Most nonprofits that use QR codes tie the codes to their mobile donation pages or mobile-responsive websites. Tokenization is a specific term that’s used in the payment card world, but it pertains to mobile fundraising in that it helps keep mobile donors safe. It accomplishes this feat by taking sensitive information, like credit card numbers, and converting it into meaningless tokens. These tokens cannot be interpreted by anyone but the payment processor. 2-factor authentication is a security measure that helps prevent fraudulent purchases. It’s a way of confirming that people (in this case, a mobile donor) are who they say they are. It works by requiring two sources of identification. In the case of mobile donating, a donor will typically be asked for their personal email address to verify their identity. The phone number is the first form of ID. Yet another security measure, PCI-compliance refers to a service provider’s adherence to the Payment Card Industry’s rigorous standards. If you would like more information on the specific guidelines, be sure to check out the official PCI Security Standards website. With all of the common terms (plus some bonus technical terms) in your tool belt, you can confidently go forth and tackle any of the big topics that mobile giving presents. This is certainly a topic that comes up a lot. And it’s understandable. “Mobile fundraising” seems like a pretty nebulous term. It’s broad, and it gets attributed to a dozen different giving avenues. More than that, though, it seems to be used interchangeably with “text-to-give,” which can be confusing. But the truth is: mobile giving is so much more than texting to donate. Mobile giving, as we said earlier, encompasses any way that you donate to an organization using a mobile device. So if you send out a fundraising email, and your donors give directly through that email on their smartphones–that’s mobile fundraising. If you’re hosting a charity run or walk, and your donors pledge on their mobile devices, that’s considered mobile pledging. Likewise, if a donor happens upon your website on their mobile phone, and they make a donation right there on the spot–that’s mobile giving, too! And yes, when a donor texts your organization, that’s also mobile fundraising.In the end, mobile fundraising is a horse of many colors, and text-to-give is just one of those hues. There are several benefits inherent in the mobile fundraising process. For one thing, it’s one of the easiest, most convenient, and most intuitive ways to give. People are already doing everything else imaginable on their phones. We’re using them to take pictures of our children. To check our bank accounts. For directions, for medical advice, for catching up on the news. For lack of a better phrase, phones are our constant companions. With that in mind, let’s explore the benefits of mobile giving for donors as well as for nonprofits. It’s safe and secure, for donors and for organizations. While checks can get lost in the mail, and cash can be stolen, mobile giving is one of the safest ways to give and receive funds. With mobile fundraising,your organization doesn’t need to worry about this problem. You can easily establish an open line of communication. Simply because you’ll be meeting them right where they already are: on their mobile phones. Mobile leaves more room for diversity and therefore more accessibility. Mobile giving platforms these days have adapted to the changing climate. What this means on a practical level is that your multifaceted donors are having their needs met–automatically. In the past, you might have needed to enlist the help of a translator to ease transactions. Mobile fundraising has changed the game, though. A donor who speaks Spanish, for instance, can text their donation in their native language and be sent instructions for follow-through in that same language. Mobile fundraising makes giving more accessible than ever before. It’s easy as apple pie for everyone involved. Not only is mobile giving incredibly easy for nonprofit organizations, it’s also 100% intuitive for donors. Your donors are already texting, emailing, and surfing the web on their phones. It’s just a natural next step for them to give to their favorite organization (you!) through those same channels. Mobile gives your organization greater insight into giving habits. Information capture, which automatically records important data about a donor (that they’ve willfully provided, of course), allows your nonprofit to learn a great deal about your donors and their habits. From this information, you can conduct more targeted prospect research and figure out who among your donors is a major gift donor. You can also figure out how to best reach out to your donors based on how they’ve given in the past. In sum, mobile giving provides so many benefits for both your organization and for your donors, it’s hard to pass up. It seems that these days, just about everybody has boarded the mobile giving train. Some of the most savvy schools are taking advantage of this innovative way to raise money. And they’re not the only ones. But exactly who uses mobile fundraising technology–and for what purposes? Churches and other faith-based organizations. Many churches use text-to-give technology in order to raise money on a weekly basis. Most churchgoers don’t bring cash with them anymore, so church leaders had to get creative. These days, you’ll find that a lot of churches have instituted what’s commonly called “texting to tithe.” It’s just like text-to-give, but it’s specifically used on Sunday! It’s the same tithing that’s been around for centuries, it’s just more modern and convenient for today’s culture. Disaster relief foundations.Disaster relief organizations were among the first to use this sort of technology. In the event of a major disaster, texting to donate became the most efficient and effective way for supporters to respond. Because it’s such a quick and easy process–and one that can be done anywhere and at any time–many more donors feel compelled to donate on the spot with mobile giving. Modern disaster relief organizations use the entire gamut of mobile fundraising: from mobile emails to QR codes and beyond. Colleges and universities across the nation have adopted mobile fundraising as a way to collect funds not only from current students, but also from alumni. Many universities nowadays send out mobile emails with email donation buttons built in so that alumni don’t even have to click away from their inboxes to give. Mobile email donating really streamlined the post-grad solicitation process. Animal rights groups. Animal rights groups are among the most innovative and prolific with their mobile solicitations. There are some groups that have created mobile apps that donate money each time that a user walks their dog. 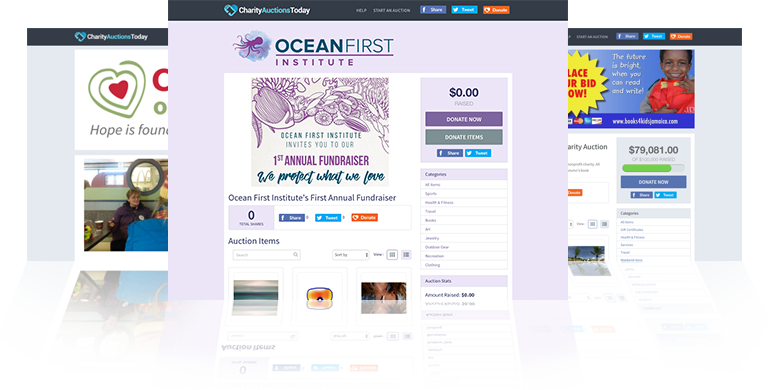 In addition to creative apps, many animal rights groups have also incorporated mobile-responsive donation pages into their everyday fundraising efforts. Of course, these aren’t the only types of organizations that make the most of mobile giving. They’re just shining examples of the different ways this kind of technology can be employed. Mobile giving fits in really well with most nonprofits’ existing fundraising strategies. Whether you’re running a capital campaign or just keeping up the status quo with direct asks, mobile fundraising is an easy way to boost your efforts on the go. Let’s take a look at a few of the ways that nonprofits work mobile into their current strategies. 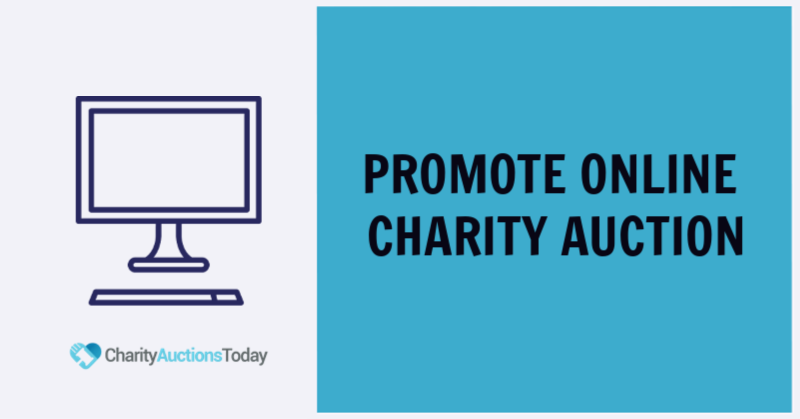 For as long as nonprofits have been raising money for great causes, there has always been the “direct ask.” It started with door-to-door solicitations (which, yes, still exist), and now it’s evolved to include mobile email as a standard way of asking for donations. Peer-to-peer fundraising has also been a long-standing tradition in the nonprofit community. And again, it began with fundraisers reaching out in person. But the advent of mobile giving technology has made that same process ten times easier and so much more efficient. Instead of knocking on ten doors, a peer-to-peer fundraiser can send out hundreds of personal appeals through their smartphone and have far greater success in less time and with less effort. One-time charity events, like benefit concerts or fancy galas, have historically relied on checks and paper pledges. But once again, not everyone has their checkbook with them, and pledges are easy to forget about if there’s no accountability.That’s precisely why mobile giving works so wonderfully with one-time events. No one forgets to bring a phone to a concert. And it takes less than a minute to donate via text. It’s a win-win situation. Nonprofits and churches that host weekly or monthly meetings where they ask for donations used to have to rely on their attendees to bring cash or checkbooks. Luckily, mobile donating has made that a thing of the past. Now, any time that a recurring event attendee wants to give, all they need to do is take out their phone and click a couple of buttons. Specific projects. When nonprofits are trying to raise money for specific projects–for instance, building new community centers–many of them have tried reaching out through direct mail or direct phone calls. And while these methods are still great, they’re not as cost-effective as mobile giving. Put simply, direct mail is 245 times more expensive than mobile email. Mobile fundraising and specific projects really do go hand-in-hand. They were practically made for one another. As you can see, it’s actually quite easy to incorporate mobile fundraising into your existing efforts. Just think of it as a supplement to the actions you’re already taking. Over 65% of all social media sites are viewed on mobile phones on a consistent basis, and 73% of smartphone owners are on social media daily. And more than half of people who engage with a nonprofit on social media end up taking some action. More often than not, that “action” is donating. What do these statistics have to do with your nonprofit? 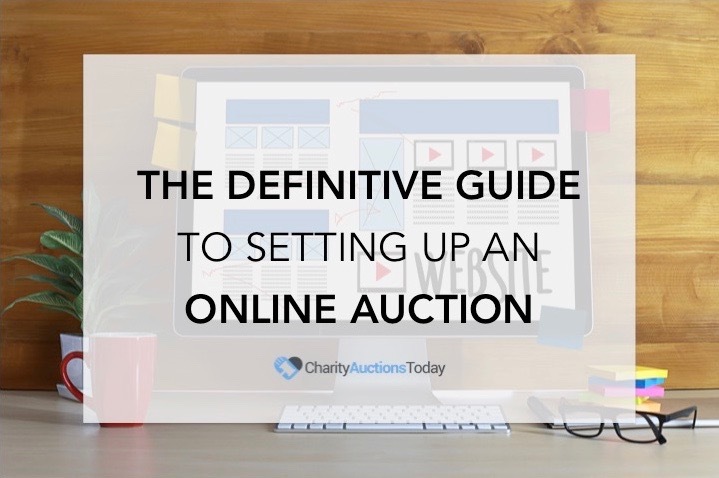 To put it simply, social media posting has a large bearing on the success of a mobile fundraiser–on really any fundraiser, actually. That’s not to say that if you don’t post on social media that your efforts will be in vain. But most donors who were surveyed have reported feeling that social media made it easier for them to donate. In short, social media and mobile giving are like peanut butter and jelly; they just make sense together. Great on their own, but far better together. Now that you have the majority of the basics covered, it’s time to delve into getting started. First things first, you’ll want to assess your readiness for mobile fundraising. Is your organization set up to incorporate mobile giving into your existing strategies? Chances are, if you aren’t yet, you can easily get there. Figuring out who will be in charge. Deciding what type of mobile fundraising you want to pursue. Planning for a launch timeline. Researching the platform provider that works for you. 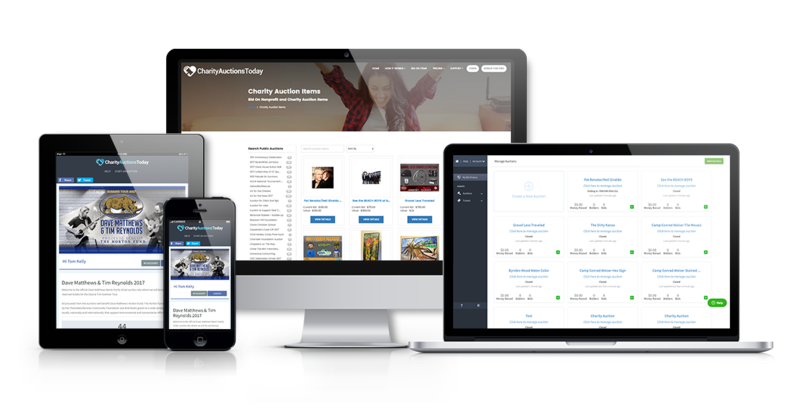 Making sure that all of your webpages and donation pages are mobile-responsive. #1. Update your contact information. Accurate donor info is crucial to your campaign’s success. Make sure that all of your email addresses and phone numbers are up-to-date with surveys and general database cleaning. #2. Set realistic goals for your campaign. Donors respond best to concrete, attainable goals. People want to feel that they’re working toward a specific outcome. That’s why it’s especially vital that you set a tangible goal for yourself and your campaign before you get started. #3. Tap key influencers to help you launch. 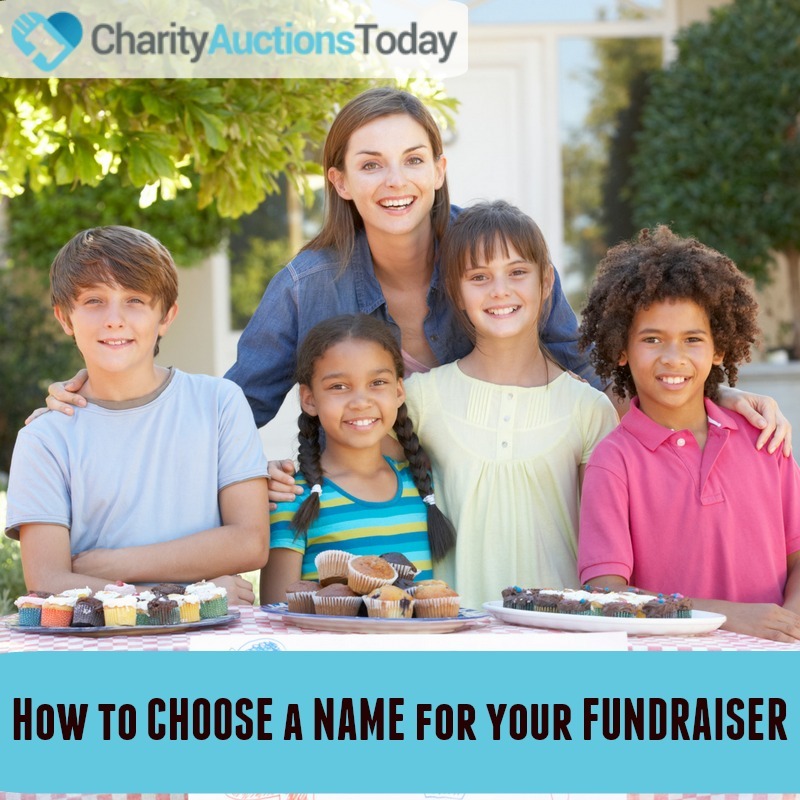 Having the vote of confidence from a trusted pillar in the community is a surefire way to get a mobile fundraiser started off right. Use the principles of peer-to-peer fundraising to your advantage to leverage your existing donor base. #4. 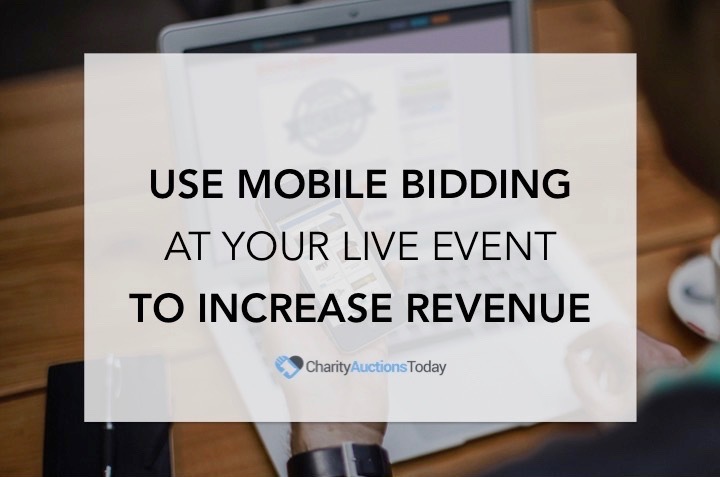 Market your mobile fundraiser at a live event. Few situations lend themselves better to mobile giving than live events. People are all gathered together, and they’re primed to give by the atmosphere. If you’re curious about the perfect events for mobile giving, check out @Pay’s comprehensive list of the best fundraising event ideas. #5. Thank your mobile donors in more than one way. Throughout your mobile fundraiser, you should be thanking your mobile donors. The moment they donate to your cause via text, they should receive an automatic “Thank you” back. But that doesn’t mean that they don’t also want a handwritten thank you letter. There you have it: 5 basic steps for launching your very own mobile giving campaign. Thanks so much for tuning into Mobile Fundraising 101. We sure hope you learned a thing or two about mobile and how it can revolutionize your fundraising. With all of your mobile fundraising knowledge, you’re set to change the world–one text message at a time!